Engineered to be the thinnest iPhones yet, the iPhone 6 and iPhone 6 Plus, announced yesterday, feature new Retina HD Displays and a powerful A8 chip. Given that the iPhone is one of the most popular cameras in the world, Apple has not neglected photographers in this latest upgrade. The iSight camera for both phones has been upgrade with a new sensor, which features new ‘Focus Pixels’ – meaning on-sensor phase detection autofocus. If you spend a little extra for the iPhone 6 PLus, you’ll also have optical image stabilisation technology, making the camera a significantly more potent prospect in low light. The front-facing FaceTime HD camera has also been given an upgrade, now capturing, according to Apple, more than 80 per cent more light thanks to another new sensor and a larger aperture of f/2.2. Its functionality has also been diversified, with a new burst mode and the capacity to take HDR video. On that subject, both phones have had their video capabilities improved. The iPhone 6 can now shoot HD video at up to 60fps for 1080p, and features a 240fps slow-mo mode. Also on the table are continuous autofocus, cinematic video stabilisation and time-lapse video. The big news on this latest upgrade is the new display. The new Retina HD displays span 4.7 inches on the iPhone 6 and 5.5 inches on the iPhone 6 Plus, respective viewing increases of 38 per cent and 88 per cent on the iPhone 5s. The 6 carries a resolution of 1334 x 750, while the 6 Plus boasts 1920 x 1080, almost tripling the pixel count of the 5s. Apple says the displays will also offer higher contrast and dual-domain pixels for better colour accuracy when viewed at an angle. Elsewhere, there’s a faster chip, improved LTE download speeds up to 150 Mbps and a newly slimmed down aluminium body. 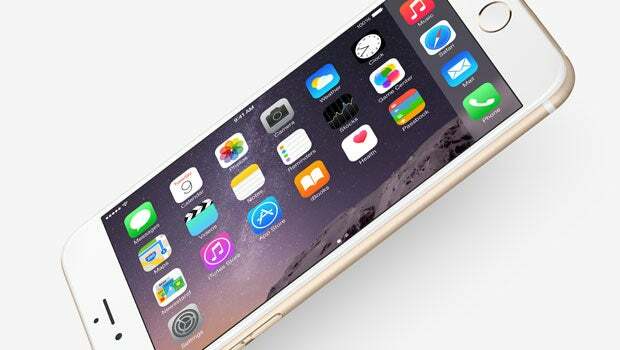 The iPhone 6 comes in 16GB, 64GB and 128GB moles, available for £539, £619, £699 respectively. The iPhone 6 PLus comes in the same varieties, priced £619, £699 and £789.